The Beeches is an established family run Guest House located in the historical town of King's Lynn personally supervised by resident owner Hilary Sellers. The Bedrooms are tastefully situated around the central staircase, and are all complete with complimentary tea and coffee, television and hairdryer. The residents lounge is equipped with digital TV. The Beeches boasts a superb and extensive breakfast menu and offers home cooked evening meals by arrangement. 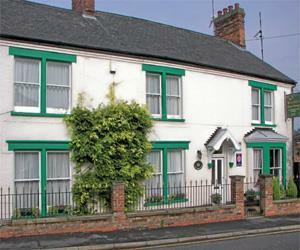 Situated in a quiet, residential area close to rail and bus stations, local park and town centre. King's Lynn is 39 miles west of Norwich, off the A47. From Kings Lynn Taxi £4.00 approximately. Through The Walks (park). Otherwise London Road, past Swimming Bath, Police Station, Library and left at Windsor Road.